As team members complete computer aided design (CAD) models of their respective subsystems the big picture of the vehicle's internal components is coming together in real time. Computer modeling of the vehicle is a crucial step in the design process. A design flaw encountered in the CAD stage can be more easily and effectively corrected than in the heavily anticipated fabrication phase. Recent completed models include the brake master cylinder, rear disk brake and parachute test frame. 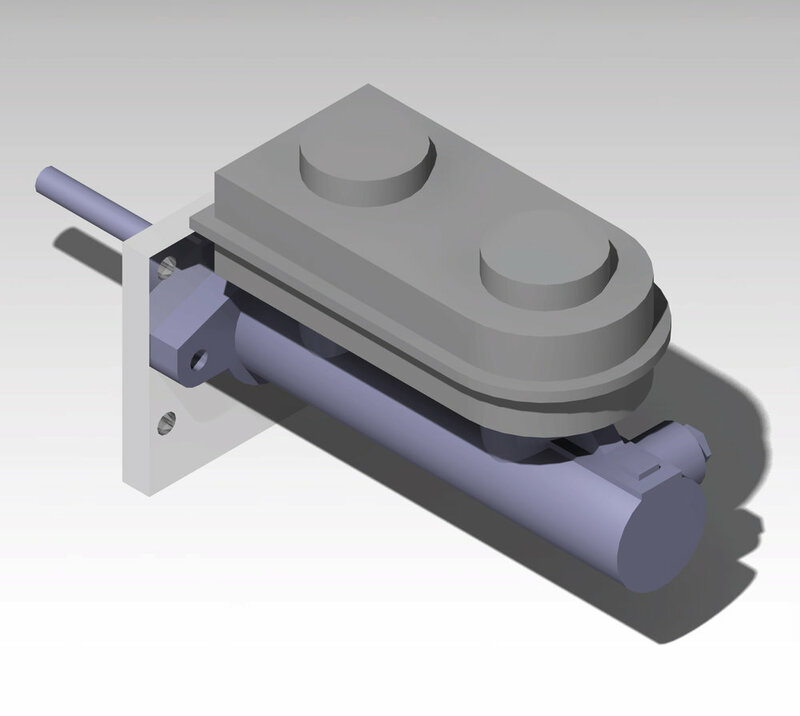 The brake master cylinder and disk brake will be added to the CAD model of the complete vehicle to ensure that they fit properly into the vehicle as a whole. In the same subsystem a frame for the parachute is underway in preparation for parachute testing. More bits and pieces are on the way and as each one is completed the Eagle Works dream gets closer and closer to a reality.